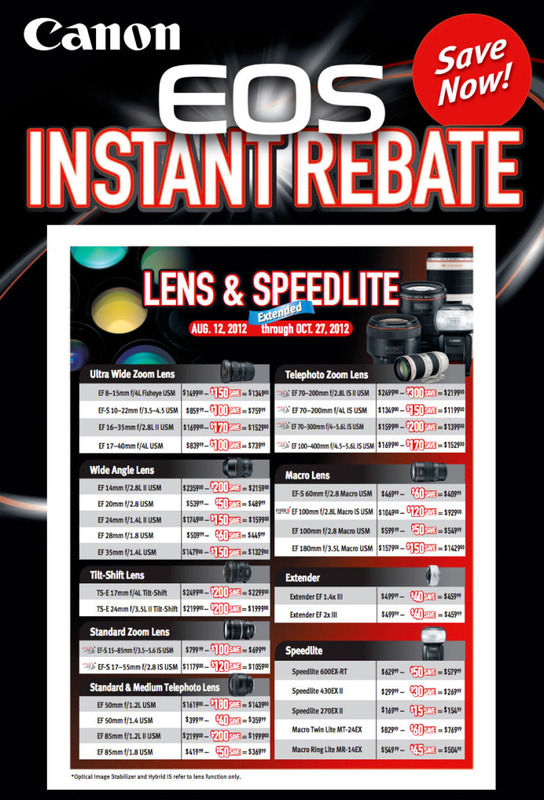 Canon USA has extended the recent rebate program for Canon lenses and speedlites. Canon has also increased the instant rebate on the Canon EOS 5D Mark II, and it’s now priced at $1799 for the body only and $2499 for the kit with 24-105mm lens. If you're looking to go full frame and don't want to spend $2099 on the new Canon EOS 6D entry-level full frame camera, the 5D Mark II is a great alternative. You can take advantage of this great deal from authorized dealers such as Amazon, B&H Photo and Adorama for body only or Amazon, B&H Photo and Adorama for kit.